From a technical perspective the wide dynamic range and intricate, complex nature of David’s music provides interesting and demanding engineering challenges during the recording and mixing stages of production. As such David’s work has been reviewed and featured in hi-tech audio technology magazines worldwide and on music technology websites. Articles detailing how best to capture and process David’s type of acoustic guitar playing. 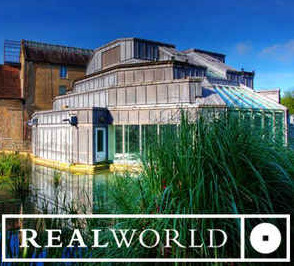 Pro audio publication features detailing the recording and engineering processes behind tracks which David has worked on – most notably for Audio Technica Europe at Peter Gabriel’s Real World Studios. Links to sites offering raw session audio files for engineering study and/or remix purposes are listed below. Details of specific audio technical equipment used in the recording of David’s music. Please click the logos below to read articles from Headliner magazine and Resolution magazine on the September 2017 launch of Audio Technica’s 50 series microphone range at Real World Studios, featuring David as part of the Chris Woods Groove Orchestra. 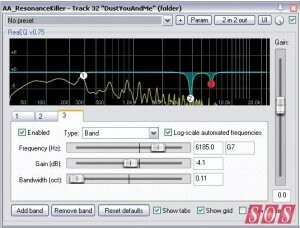 Feature article as part of SOS Magazine’s ‘Reaper Techniques’ regular section, with ‘Dust, You and Me’ from the Transience CD used to demonstrate guitar processing techniques. Click here to visit the website for this article. 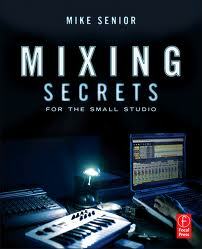 David’s guitar work is featured in the multitrack download library that accompanies the highly-acclaimed book ‘Mixing Secrets For The Small Studio’ by award-winning mix engineer Mike Senior from Cambridge Music Technology. Multitrack raw session audio files of three tracks from David’s ‘Transience’ CD are available for download from the library for mixing practice purposes. All these files are presented as ZIP archives containing uncompressed WAV files (24-bit or 16-bit resolution and 44.1kHz sample rate), without any effects or processing. Click here to visit the Cambridge Music Technology website for access to the multitrack audio content. Click here to read reviews of this excellent book in publications such as Guitar World and Music Connection. Find out more about the Passive Analogue Mastering EQ used for the mastering of David’s ‘Transience’ CD – an exceptional piece of outboard processing equipment with enough audiophile credentials and specifications to justify its (ahem) slightly higher cost than the average mastering EQ..
Click here for the Sound On Sound review. A very interesting article on mastering in the September 2016 issue of Sound On Sound that is worth a read if you’re into that sort of thing. Its got some accompanying audio example tracks on which I played drums and bass. As Features Editor (and guitarist/vocalist) Sam Inglis describes it – ‘a traditional ballad about the incident that ended Jesus’s football career, arranged in a disco style’. There’s a market for that, right?